When talking about coastal cities in China, Gulangyu Island in Xiamen is usually one of the first names that come to mind. With a vast ocean view and soft sand on the beach, it’s no doubt a nice seaside resort. However, the jammed crowd during vacation periods there may also intimidate those looking for something low-key. However, along the southern coast of China hides a seaside city the beauty of which definitely trumps that of Gulangyu. It’s home to the golden coastline known as “China’s No.1 Long Beach” with white sand and coconut tree groves, the crystal-clear Huguangyan Lake (which was formed by a collapse after volcanic explosions between 140,000 and 160,000 years ago and was certified by geologists of the United Nations as “natural yearbook”), and an array of time-honored traditions including nearly 30 intangible cultural heritages, just to name a few. 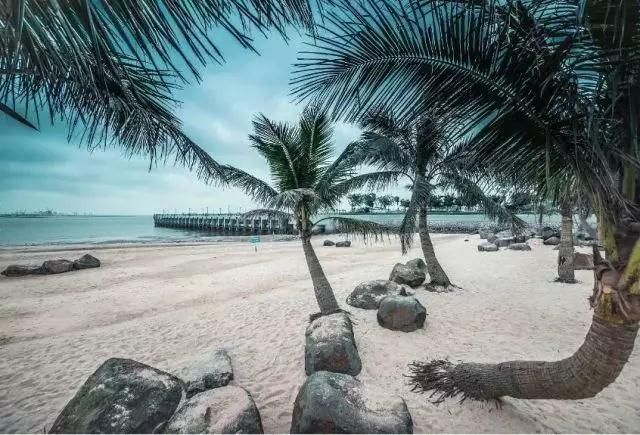 This secret place that hosts a nice landscape, mouth-watering delicacies and most importantly very few tourists, even during golden vacations, is Zhanjiang. A new high-speed rail linking Jiangmen and Zhanjiang in western Guangdong has been put into operation recently. 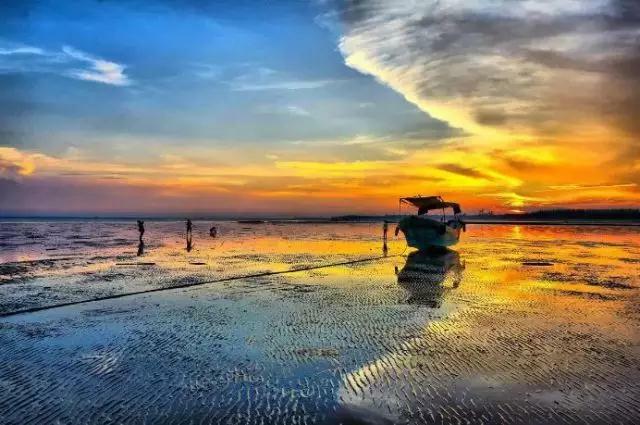 The new link is part of the 470-kilometer Shenzhen-Zhanjiang High-speed Railway.The service cut the trip from Shenzhen to Zhanjiang to three hours and 57 minutes, making this seaside gem more accessible to Shenzheners. Donghai Island, covering an area of 492 square kilometers, is China’s fifth-largest island and Guangdong’s largest. The island has a famous provincial tourist resort which is known as a vacation paradise due to its blue skies, clean water and fine beaches. Naozhou Island is a volcanic island formed about 200,000-500,000 years ago. 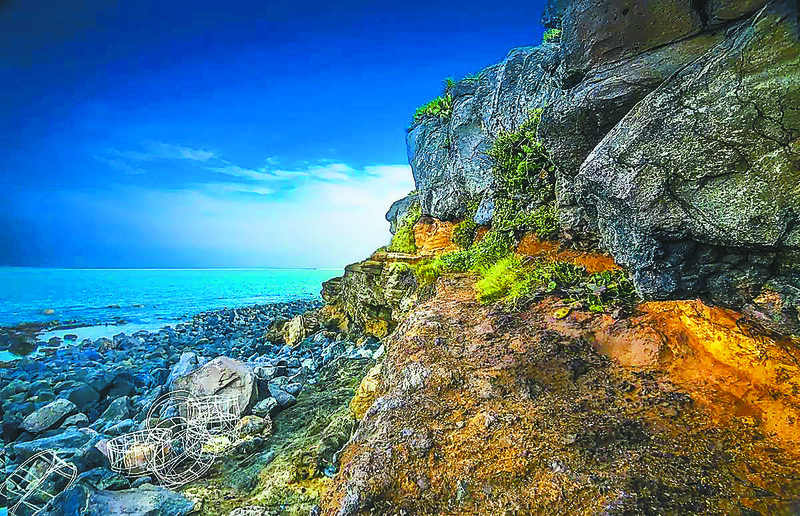 Called “Mang” in ancient times, Naozhou Island is a volcanic island formed about 200,000-500,000 years ago. It is the biggest volcanic island in China. The island boasts beautiful scenery and a pleasant climate all the year round. There are quite a few places of historic interest and scenic beauty on the island. For example, the Nayanhai Rock Patch is a well-known tourist resort in South China, which boasts an ideal seaside bathing resort. The Naozhou Lighthouse is one of the world’s three most famous lighthouses, and the other two are the London Lighthouse and the Cape of Good Hope Lighthouse. Naozhou Island is abundant in aquatic products. As a fertile fishing ground on the continental shelf in the South China Sea, it produces such world famous seafood as abalone and lobsters. Its southern scenery is well-known all over the world. Entrance to the Huguangyan Lake geopark. The crystal-clear water in the lake always makes people doubt its real existence. 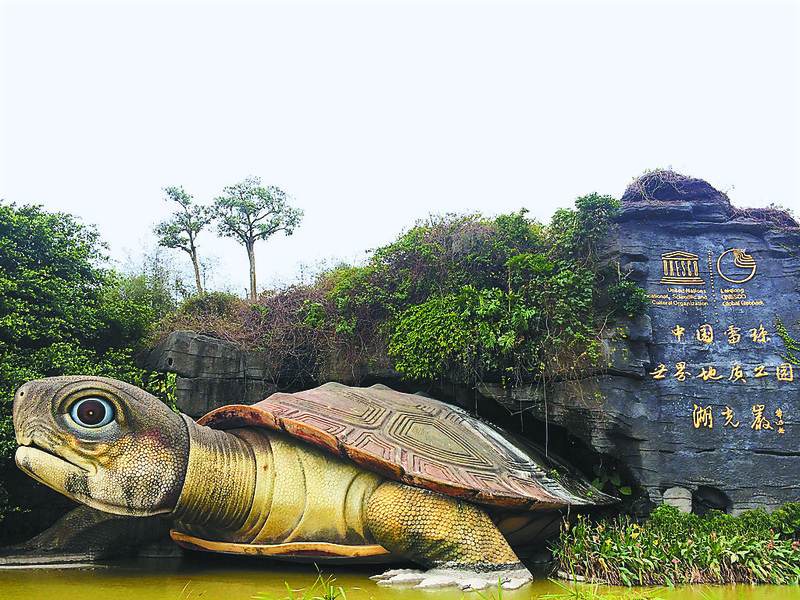 The Huguangyan Lake geopark, 18 kilometers to the city center of Zhanjiang, covers an area of 38 square kilometers. It’s home to the world’s largest and China’s only maar lake, Huguangyan Lake. The whole area consists of Huguangyan Lake, Dongpo Hill, Naozhou Island, Yingfeng Hill, Lighthouse Cape and the Southern Subtropical Botanic Garden. Old trees and strangling vines grow and form a lush landscape. The place is a “bar of oxygen,” known for its high density of negative ion. People usually walk around the lakeside to enjoy the fresh air. 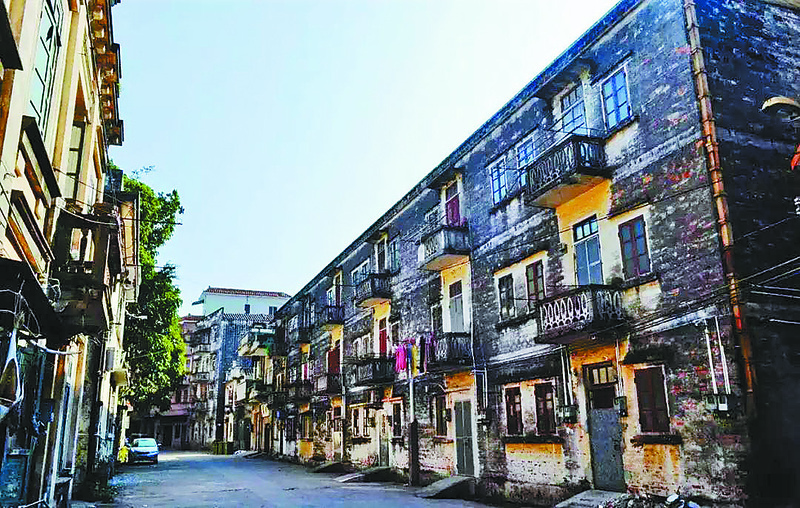 In Zhanjiang there are also some French-style architectures built 100 years ago for it was occupied by France in 1899 and later returned to China. Chikan Old Town is home to the oldest commercial street in Zhanjiang, Chikan Datong Street. It includes the city’s oldest street, Gulao Dujie Street, and has witnessed the history of the old commercial port Chikan. Walking on Chikan Datong Street, you will see many commercial buildings from the late Qing Dynasty (1644-1911) and the early period of the Republic of China (1911-1949). When you come visiting this seaside city, don’t forget to treat yourself a seafood feast.